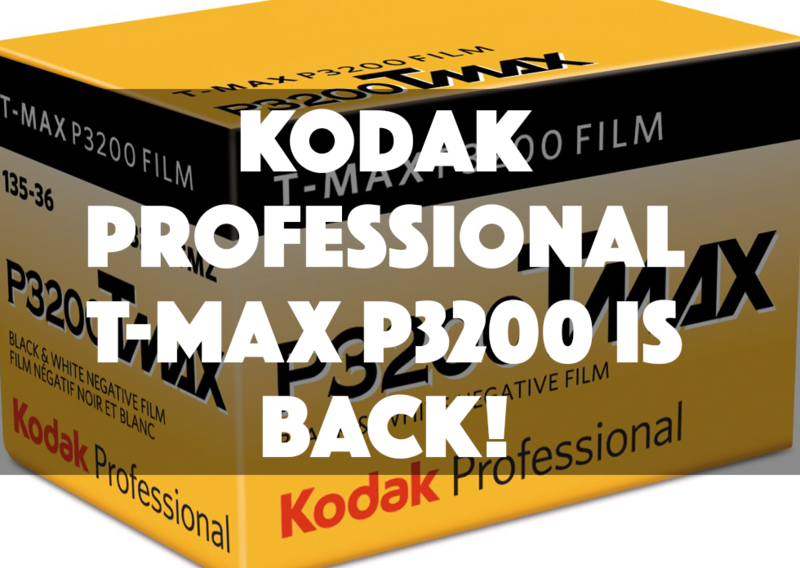 Kodak Professional T-MAX P3200 is BACK! After a week of teasing Kodak has surprised everyone by bringing back their Kodak Professional T-MAX P3200. Back in 2012 they have decided to discontinue this film but 6 years later we are going to get some fresh stock of this very fast film! Until today Ilford Delta 3200 was the only high speed film but we have another kid in town to shoot in challenging light conditions…I can’t wait to make a side by side comparison of these two! While we wait for the fresh stock to hit the shelves in March, we can still buy expired rolls of Kodak T-MAX 3200 on eBay. ROCHESTER, N.Y. February 23, 2018 – Kodak Alaris announced today that it is bringing back KODAK PROFESSIONAL T-MAX P3200 Film / TMZ, a multi-speed panchromatic black-and-white negative film. While the nominal film speed of P3200 TMZ is ISO 800, the “P” means it’s designed to be push processed to EI 3200 or higher. This film excels when shooting in low light or when capturing fast action. It is ideally suited for handheld street scene photography, night work, and in dimly lit venues where you can’t use flash. “It’s no secret that we’ve been looking for opportunities to expand our portfolio” said Dennis Olbrich, President – Kodak Alaris Paper, Photo Chemicals and Film. “Darkroom photography is making a comeback, and B&W Film sales are clearly on a positive trajectory. Given these very encouraging market trends, we believe P3200 TMZ will be a great addition to our lineup”. Kodak Alaris plans to offer KODAK PROFESSIONAL T-MAX P3200 Film in 135-36x format. Shipments to Distributors and Stockhouse dealers will begin in March in the U.S., with other regions around the world following shortly thereafter.